Whether you’re a blogger or not, chances are that over the years you will have acquired a crap load of stuff that you just don’t use but are not willing to throw away. Whether it’s that lipstick that you used only once because it didn’t suit you or that dress that that you were convinced would look great on you but ended up looking like a sack with sleeves, hoarders, it’s time to let go. On recommendation from a friend and upon realising that my bank balance wasn’t my friend this month either, I decided to give it Depop a go. The easiest way to explain what it is, is that it’s basically a cross between Ebay and Instagram. Users are able to sign up to buy, sell and browse what others have put up for sale. Sounds simple in theory but how does it work? Like most apps these days you just pop your details in and sign up to create a profile/account. Next you need to connect a Paypal email address so that people are able to pay for your products. Once you’ve got yourself an account all you need to do is take some pictures of your item, write a short description and enter a price and you’re good to go. You’re able to connect your Twitter and Facebook accounts too, so that your items are shared on your social media accounts automatically. It really is that simple! 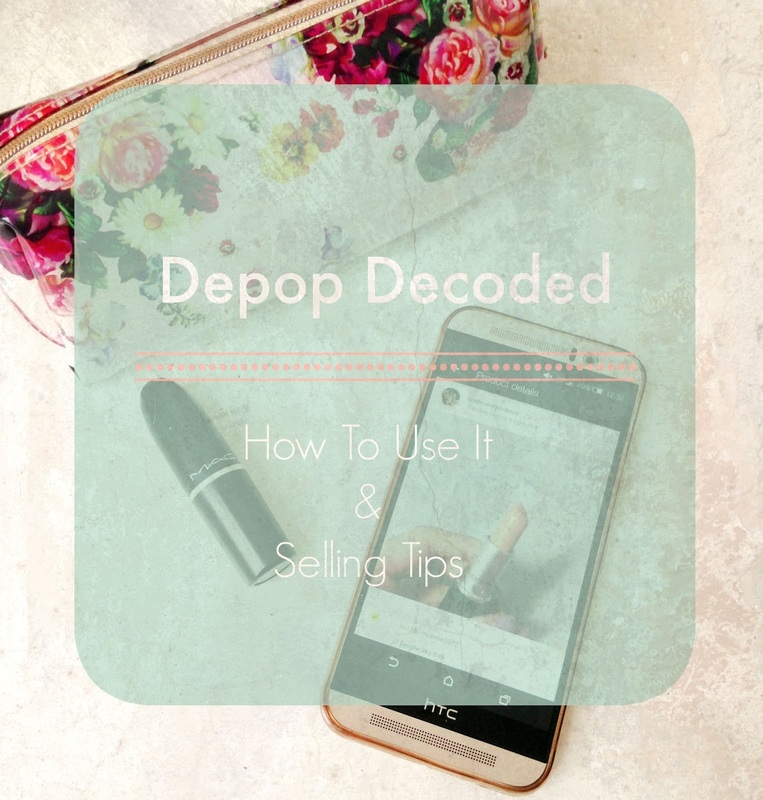 Other than that the only other thing you do need to know is that Depop will take 10% of the final sale but unlike other selling sites *cough*Ebay*cough* there are no listing fees. I would definitely recommend it purely to get rid of the old stuff you never use and there’s the added bonus of making a bit of money along the way. I am by no means an expert but in just under a week I’ve sold 6 items and made enough to pay towards another months driving lessons and hope to keep at it. If you do have any questions, I’m happy to help so get in touch but in the meant time here are some of my selling tips & tricks. Put up a profile picture. It honestly helps because it puts a face to the username and makes buyers feel a bit better about buying from a stranger. I recommend that you turn on instant payment so that buyers are able to make their purchases quickly and it’s an easy sale for you. Follow as many people as you can! Why? This is the only way your products are going to get seen. Get yourself out there. Turn off your Twitter & Facebook options. From personal experience, I find it really irritating when people are constantly promoting what they’re selling on Depop. don’t spam your followers. Photograph your images as you would your blog photos or instagram account. Keep them clean but interesting and try including pictures of the item being worn/used. Use hashtags. In the search option people have the option to search for hashtags so it would be silly not to utilise them! Try and think of all associated words that people might be looking for, as well as seasons and celebrities who might have worn something similar. Don’t think too hard about the money you’re losing out on. Set your prices low and be willing to negotiate. Chances are if you did end up throwing things away or never using them, you wouldn’t make any money anyway right? So it’s better to make something and some space in your home than to make nothing and have a cluttered closet. What’s your Depop account name? Shameless self plug > Follow me here.